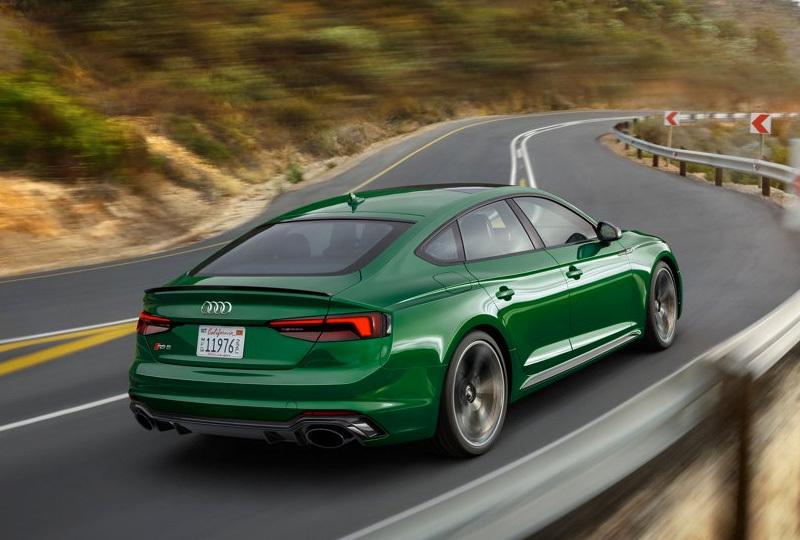 The 2019 Audi RS 5 Sportback coming soon to Audi Shawnee Mission in Lenexa, KS - serving Kansas City, Shawnee Mission, Mission, Overland Park, Leawood, Lee Summit, and Merriam - delivers exceptional performance and advanced tech features. Take charge of the road with a 2.9L TFSI® twin-turbo V6 engine that produces a whopping 444 horsepower and 443 lb.-ft. of torque. The advanced Quattro® all-wheel drive technology ensures optimal handling in all driving conditions, so nothing can hold you back from enjoying a little joyride. The revolutionary interior design puts convenience and tech features under your command for a truly connected experience. Manage entertainment and navigation features with the MMI® touch controller that has handwriting-recognition technology. 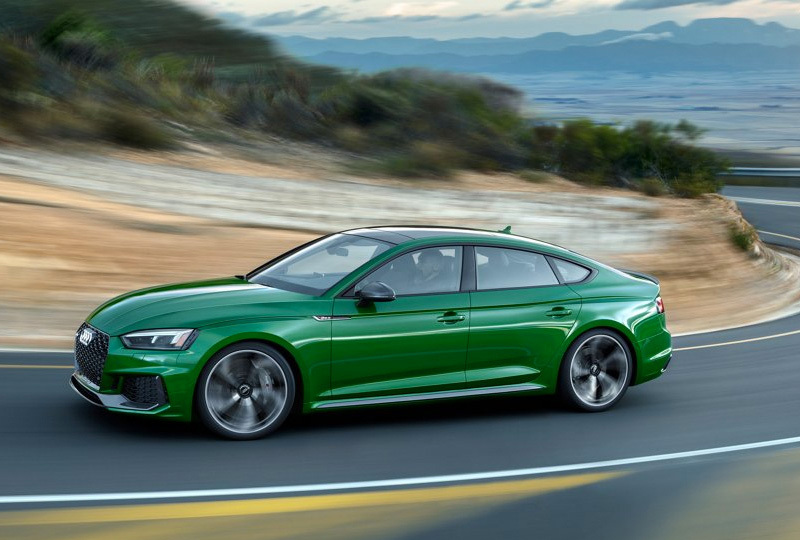 Audi Shawnee Mission will keep you updated on the arrival of the new 2019 Audi RS 5 Sportback. This vehicle will be available for a test drive soon, so sign up to receive timely updates directly to your inbox. We're located at 8035 Lenexa Drive, Lenexa, KS, for all your automotive needs.